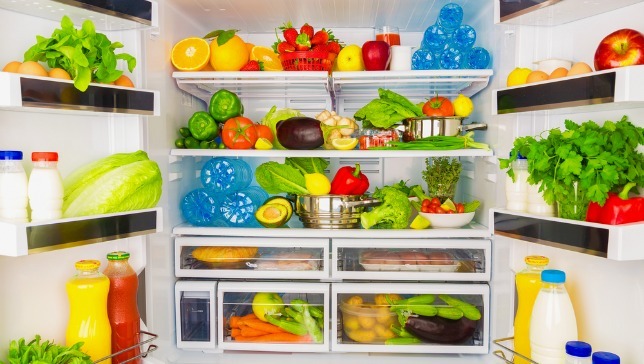 A full-scale cleaning of your refrigerator can be a frightening thing. What odd and forgotten items lie waiting on those lower shelves and back corners? Is that cheese supposed to be blue? Why do we have seven jars of pickles? And is the expiration date on those olives really… 2014?! I did a complete fridge sweep like this a few weeks ago. I had no choice. The bottle of warm soda on the top shelf hinted that something wasn’t right. Earlier in the day my wife noticed the butter was softer than usual, but we did our best to ignore it. Amidst a crazy week, we were too busy to accept the obvious: our refrigerator was slowing dying. It still looked fine. The lights worked; the fan was still humming. Colorful pictures and artwork created a cheerful facade. But inside it was lukewarm. It was losing power, and its usefulness was quickly fading. In Revelation 3:15-17, Christians were warned about letting their spiritual lives become stale and lukewarm. They were comfortable and content with life, but their spiritual zeal had begun to fade. In verse 20, these believers were encouraged to live in closer fellowship with the Lord. “Behold, I stand at the door and knock. If anyone hears My voice and opens the door, I will come in to him and dine with him, and he with Me.” This verse is often associated with salvation, but in the context, the proper interpretation is fellowship – very close and interactive fellowship with the Lord! Do you ever feel like your spiritual life has lost its freshness? Has it been a while since you felt that kind of fellowship with the Lord? Maybe you’re aware of these things, but have just been too busy to address the issues. Powering up our spirituality is tough! It takes energy. We need to stay plugged in and turned on. We need to get rid of the things in our lives that have gone stale and need to be tossed. Jesus wants to do a thorough cleaning in each one of us. He wants to fill us with everything new and fresh, and restore us to full power. Will you let Him?